Most people have an area of their home that could use a makeover to transform the space into something more useful and fashionable. Our friend and collaborator, Katie Beth Lamb, had the perfect space to redesign. Who really needs clunky entry closet doors when you can have a warm, inviting sitting space? It was important to keep the storage, so hooks and cubbies were added so this area can be used as a make shift mudroom! Check out Katie’s step-by-step process at her blog post here! We were so ecstatic to do this collaboration with Katie! The pictures below show the dramatic change between the before and after. We love the use of baskets for hidden, yet accessible storage. 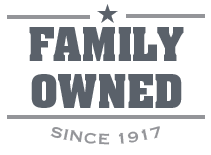 With any family, especially those with kids, storage is important. 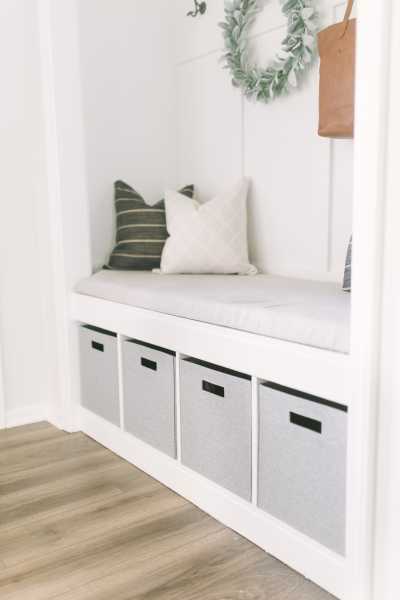 The extra storage beneath the bench is perfect for rain boots, flip flops and outdoor toys. With proper planning, this project can be done by beginner to advanced DIY-ers! This sort of project can make a massive difference to your entry! 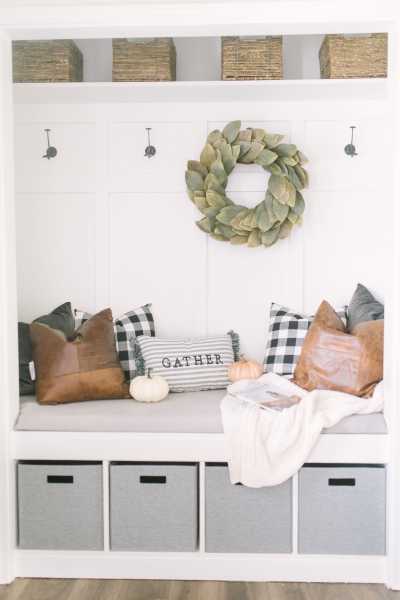 It can be redecorated for any season, and provides a comforting invitation in to the home. Most importantly, the space is functional! 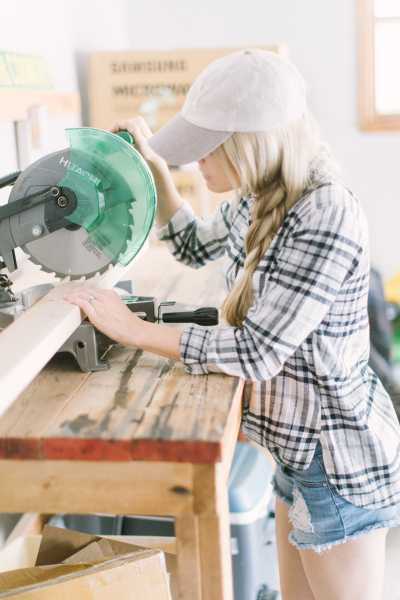 Don’t forget to check out Katie’s blog for an in-depth guide on how to achieve this in your own home! 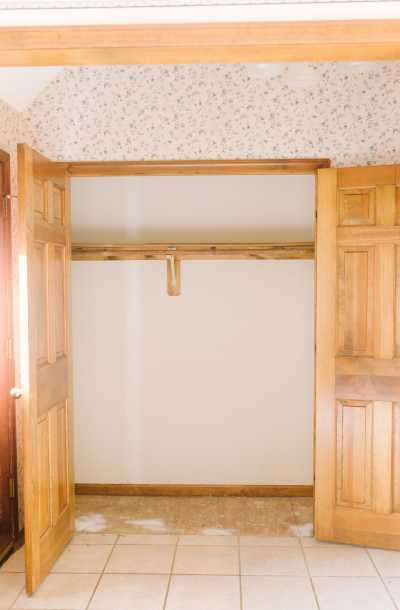 Do you have a closet in your home that could use a makeover? 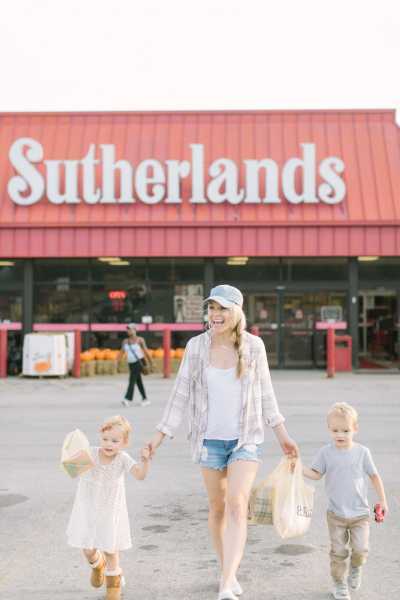 Then stop by Sutherlands to pick up all the materials you need. We are always happy to help with DIY projects.